Heidi developed a unique approach combining tools and techniques from continuous improvement, design thinking, Results Counts™ and equity. While at StriveTogether, she has supported more than 25 communities in applying StriveTogether’s improvement strategies toward key outcomes including kindergarten readiness, high school graduation and postsecondary enrollment. Heidi has spent her career in education. For six years, she taught fourth- and fifth-grade students in a public school district outside of Boston, Mass. She specialized in integrating students identified as difficult or hard-to-reach, English language learners and students with learning disabilities into her mainstream classroom. After leaving the classroom, Heidi moved to Washington, D.C., to work in the U.S. House of Representatives as a policy aide and scheduler. While working for multiple members of Congress, she analyzed legislation and developed policy recommendations for health and education issues. She also managed the office’s budget and served as the primary contact for internal and external communication for each member. Most recently, Heidi was the Ohio education policy advocacy projects coordinator at KnowledgeWorks. In this position, she was responsible for education policy research, grant writing and project management. She also managed the Ohio 8 Coalition, a strategic alliance of superintendents and union presidents from Ohio’s eight urban school districts: Akron, Canton, Cincinnati, Cleveland, Columbus, Dayton, Toledo and Youngstown. 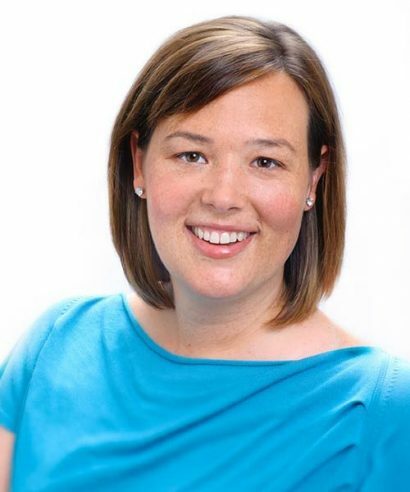 Heidi has a bachelor’s degree in elementary education from Skidmore College and a master’s degree in curriculum and instruction with focus on literacy from Lesley University’s School of Education. She lives in Cincinnati with her husband and twin daughters. I loved horses when I was young, so I wanted to be a large-animal vet. My fourth-grade teacher, Mrs. Hamilton, was my favorite teacher. She was a lot of fun and very accepting of everyone. When she read out loud, she used different voices for different characters. And, best of all, she had a boa constrictor named William Snakespeare. Writing my senior thesis in college on Howard Gardner’s multiple intelligence theory and how using a child’s strengths to teach them works better than focusing on their weaknesses. Play golf. My parents always tried to get me to learn when I was young but it was “too boring.” I learned to play in my 20s and love playing whenever I have the chance.